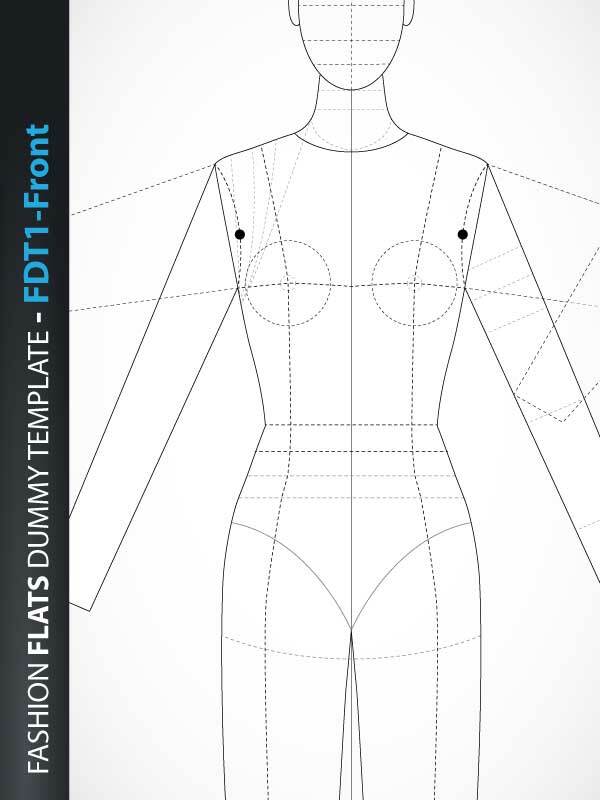 Fashion Female Template - Basic Female Upper Body for Fashion Beachwear, Accessories or Tops Design, includes fashion female upper body with head from the front view with all details like eyes, nose, mouth, neck, ears, hands, nails, breasts... Template with and without hairstyle. Fashion Template is created based on Medium Photographic Shot. Print-Ready. 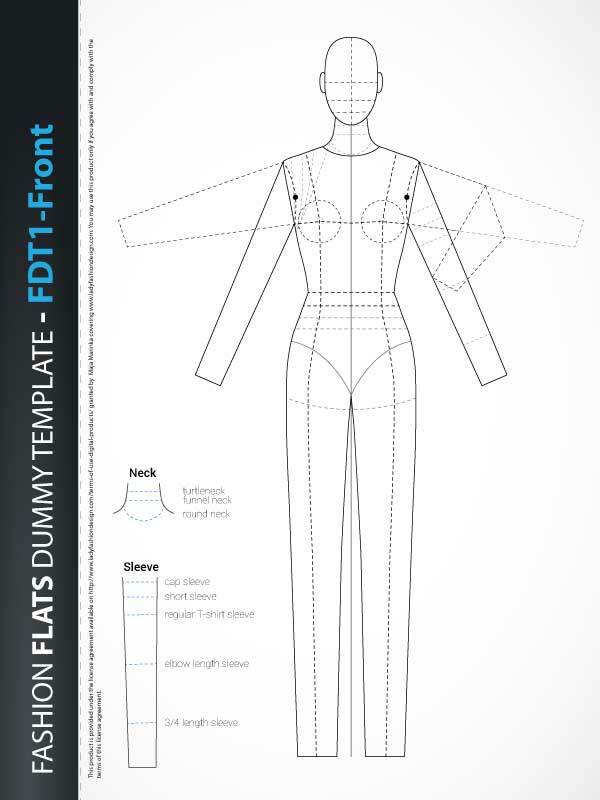 Fashion Flats Drawing Template - Front, includes fashion dummy from the front view. 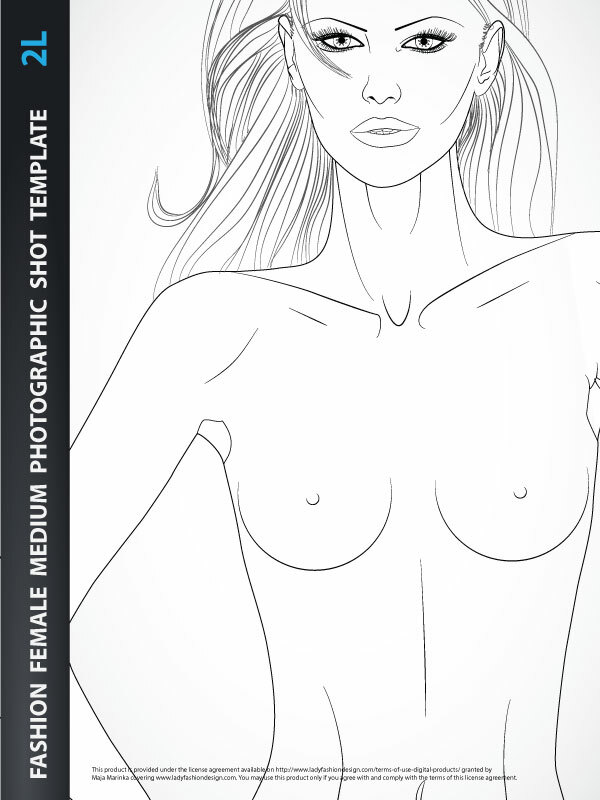 Template has all body details, details of the line and basic trimmings. Can be used for technical fashion drawing. Print ready. 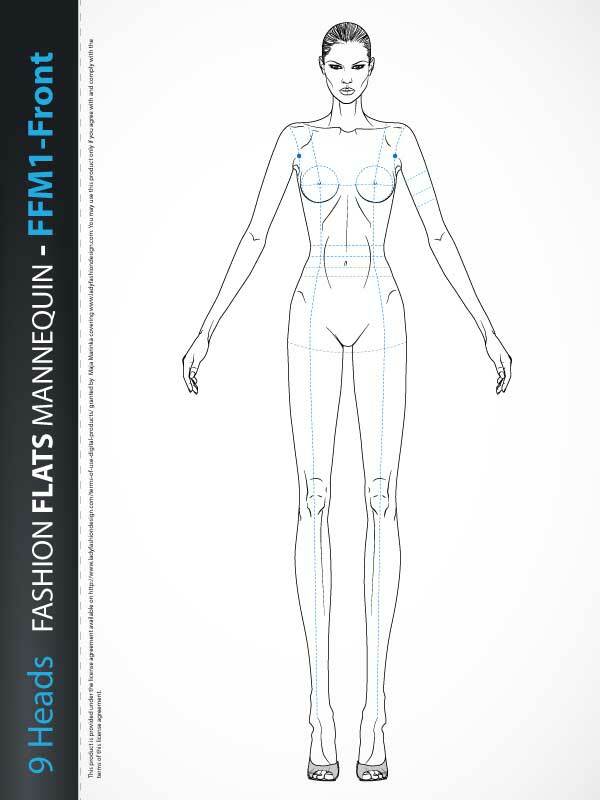 Fashion Technical Drawing Mannequin Template - Front, includes fashion figure from the front view. Mannequin has all body details, details of the line, basic trimmings and is based on “9 HEADS” model proportions. Can be used for technical fashion drawing. Print ready. 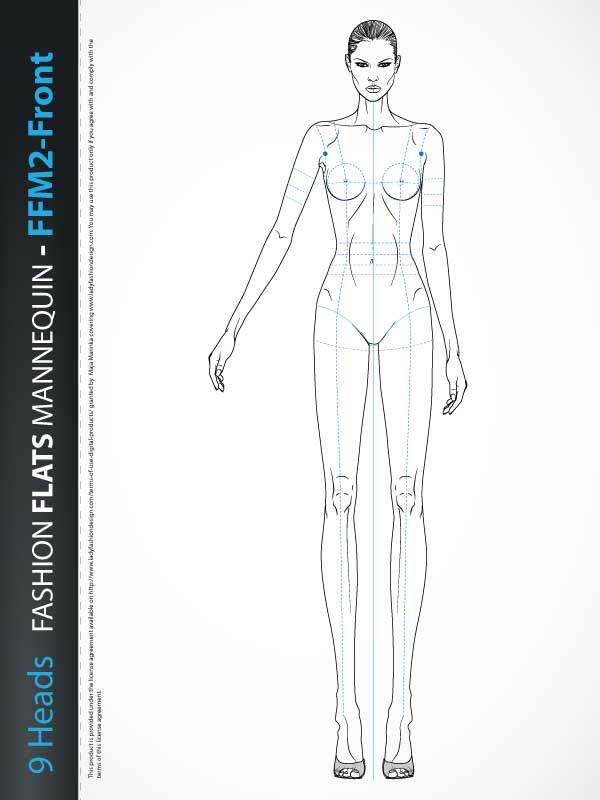 Fashion Technical Drawing Mannequin Template - Front, includes fashion figure from the front view. Mannequin has all body details and is based on “9 HEADS” model proportions. Can be used for technical fashion drawing. Print ready. 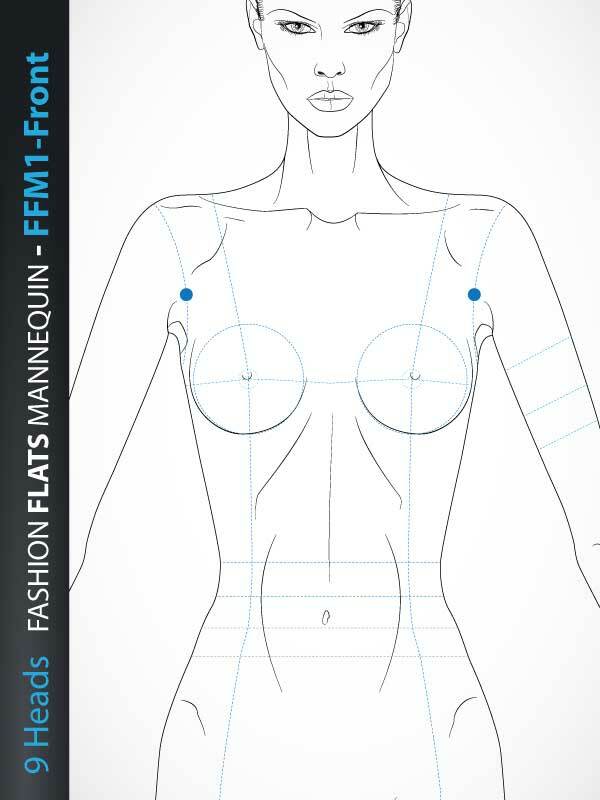 9 Heads Fashion Figure Template, includes fashion figure from the side view. Template has all body details. Croquis with heeled feet for drawing shoes with high heels. 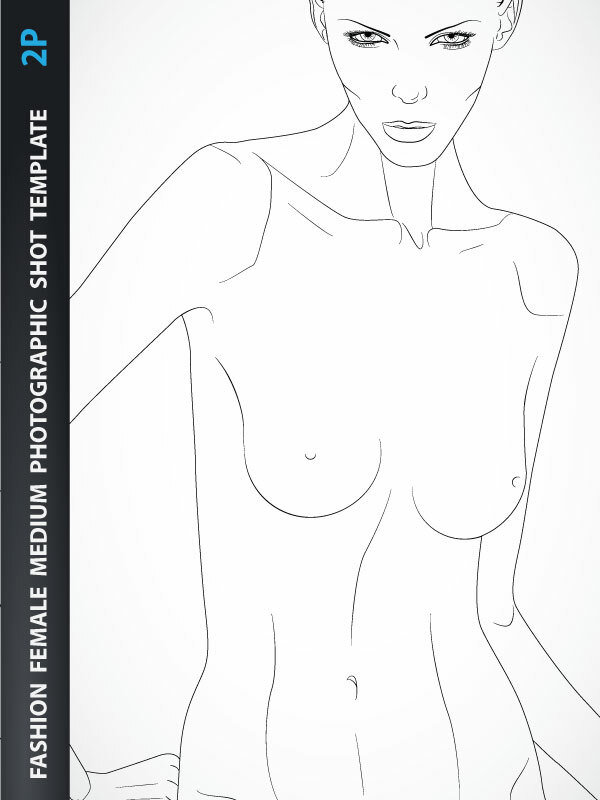 Fashion Figure Template is based on “9 HEADS” model proportions. Ready for print. 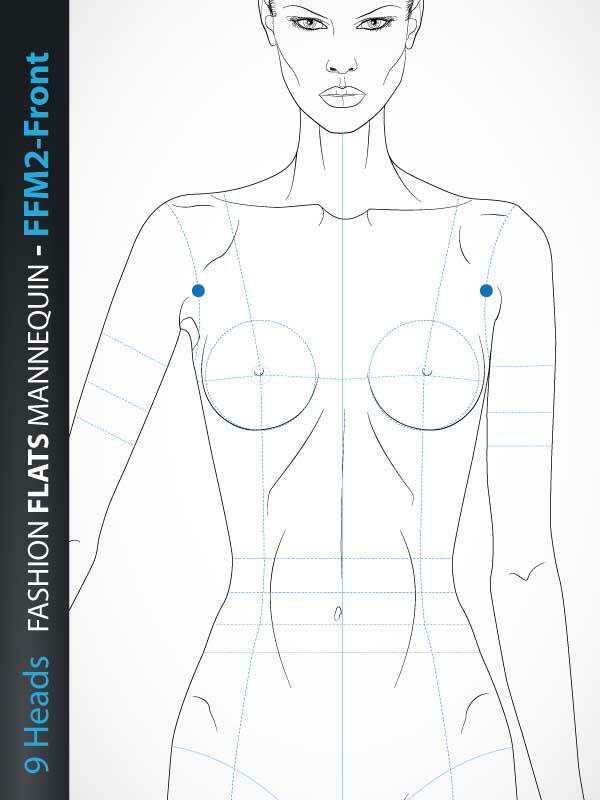 8 Heads Fashion Figure Template, includes fashion figure from the side view. Template has all body details. Croquis with heeled feet for drawing shoes with high heels. 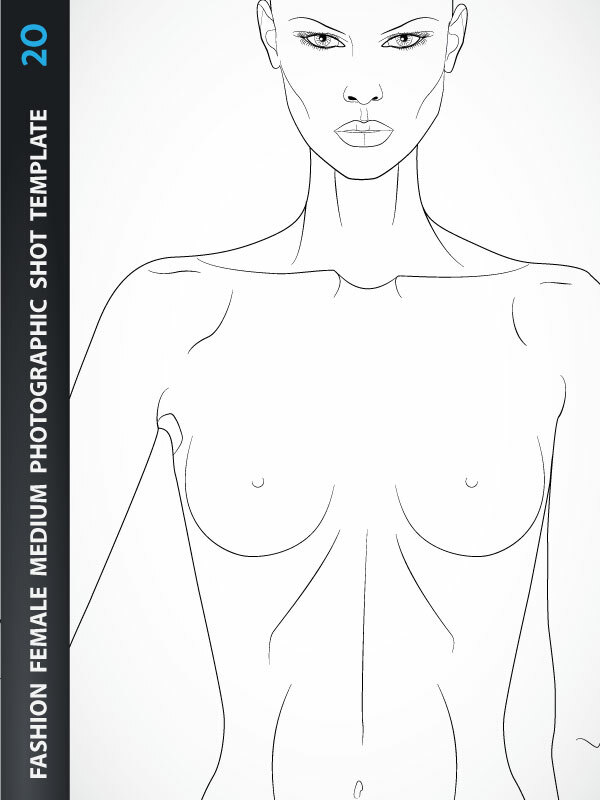 Fashion Figure Template is based on “8 HEADS” model proportions. Ready for print.